Increasingly, buying or leasing a new car includes connectivity that extends well beyond the driver’s seat and the car’s cabin—to one’s smartphone and possibly even smartwatch. And electric cars are the type of vehicles for which these capabilities can be especially well put to use. That’s especially true for tasks like checking charge status remotely, making sure the vehicle is locked, and navigating to public charging stations. 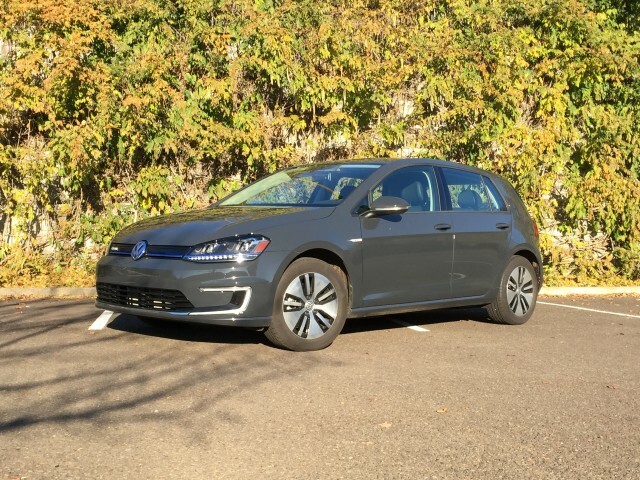 Volkswagen’s Car-Net Mobile app for our long-term 2015 Volkswagen e-Golf test car can do all of those things; it also lets you remotely schedule charge times, to utilize off-peak rate times; and it helps you locate the vehicle and even check in on trip computer data. But it requires a subscription-based connection (and a corresponding data connection). To activate Car-Net for the e-Golf, we had to call the Car-Net provider, Verizon Telematics, using either the app or the ‘i’ button on the overhead console. Using any of these services beyond the vehicle’s first six months (based on dealership delivery date) costs $17.99 per month. That includes Volkswagen Emergency Services, which allows roadside assistance, as well as stolen vehicle assistance and destination assistance with a real agent; it automatically calls an operator in the event of an airbag deployment or crash notification. This touches on the only significant issue we’ve so far had with the e-Golf—a short in the communications module that caused it to call the emergency services operators over and over again when nothing was wrong. While that communications module went bad and the infotainment system itself has been glitchy, I’ve been using the Car-Net Mobile App for the e-Golf with an iPhone 6, and the app hasn’t crashed once. So far we’ve used the app regularly to check on charging and battery status, and to pre-heat the car at times—like on a particularly cold day when it was still plugged in and charging. We haven’t used the feature allowing remote destination entry, via smartphone; and actually we find the navigation features built into the e-Golf to be quite sluggish. The iPhone app itself isn't without its quirks and bugs either; for instance, it won't display the cabin temperature of our e-Golf (it always just displays double hyphens), and it always insists on preconditioning the car to 72 degrees—nothing more, nothing less. Furthermore, the preconditioning times out after a very short period—about ten minutes. Since this is an all-electric car, it's plugged in, and there's no exhaust building up in the garage, why not allow the car the time to truly warm up? That said, there have been a number of significant upgrades that should improve in-dash information display and functionality in the 2016 e-Golf. It adds App-Connect functionality, for Mirror Link, Apple CarPlay, and Android Auto, allowing more smartphone apps to run neatly on the infotainment system. The screen-based systems themselves in the 2016 models have been updated to the new MIBII platform, with screen size up to eight inches on SEL Premium models and the ability to sync two phones simultaneously, check vehicle range on the map, and do one-shot voice destination or point-of-interest entry. The system is also now compatible with the Apple Watch. 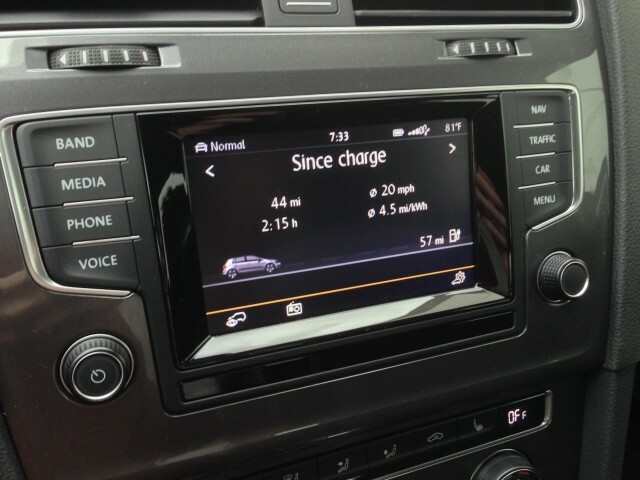 Back to our 2015 e-Golf, one thing that we do wish the Car-Net app had is a programmable alert system—one that would, for instance, send a push alert or text when we’d passed 80 percent at a CCS fast charger. For this electric car and its 83 miles of official EPA-rated range, we have trouble imagining a buyer not wanting this level of connectivity—to make the most of each charge and each driving day.